A research project being conducted by a Plymouth University academic aims to reduce the likelihood of frail patients developing pressure ulcers by identifying pressure hot spots. Professor Bridie Kent, Head of the institution’s School of Nursing and Midwifery, is leading the research alongside Nicci Aylward-Wotton from Peninsula Community Health (PCH), entitled 'Improving pressure damage detection in the community using continuous pressure monitoring of patients'. The project will involve using new technology, in partnership with developers Sumed, to identify hot-spots of pressure, generated when patients sit in one position for long periods. For people in the community who have limited mobility, this innovative technology can identify pressure ulcer risk much earlier, allowing the patient to adjust their position accordingly and so help prevent any actual damage occurring. 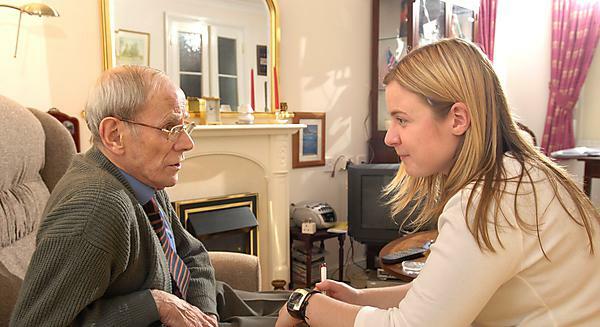 Funded by The Health Foundation, an independent health care charity, as part of its £1.5 million innovation programme, Innovating for Improvement, the project will focus on older people living in the community in Cornwall, but the technology could eventually be rolled out nationwide if its results are successful. It is anticipated that over a 12-month period, around 50 patients from across the Duchy will be recruited to the project. “Around half a million people every year develop at least one pressure ulcer, many with an underlying health condition or higher levels of frailty. Five to seven severe cases are reported each month in Cornwall and the county has a higher than average elderly population. That makes it the perfect place to conduct the research. “Most pressure ulcers develop while patients are in their own homes, but research and technology has tended to focus on the hospital setting. Moreover some patients have said they are reluctant to use pressure relieving equipment as it can be uncomfortable, hot and noisy. “By introducing continuous pressure monitoring, coupled with patient and carer education, it will be possible to determine if pressure ulcer risk can be self-managed by patients.